How Big a Portfolio Do I Need to Live on Dividends in Retirement? A dividend focused stock portfolio can provide a growing retirement income. 2. How Do I Build an Income-Based Stock Portfolio? A large number of variables need to be answered or solved to determine what size portfolio you need to be able to live off the dividends. Besides your personal income needs, there are various ways to put together a portfolio of dividend paying stock with vastly different average yields. You need to decide what type of dividend-paying stocks you want to own and then calculate how much of those stocks you need to own to cover your desired annual income. In July 2013, the average yield of the 30 stocks included in the Dow Jones Industrial Average was 2.8 percent. The Dow stocks represent blue chip companies that have mostly paid dividends for decades, usually increasing the payout every year. There are categories of stocks such as utility companies, with an average yield of about 4 percent. In another sector, the average yield for real estate investment trust companies is similar to utilities, but a sizable portion of the REIT universe sports yields up into the double digits. Master limited partnership companies are another type of high-yield stock, with most falling in a range of 5 percent to 10 percent. As you research dividend-paying stocks, you will find they fall into one of two categories. There are stocks that pay moderate yields, but the companies have over the years steadily increased the amount of dividends paid. The other extreme is high-yield stocks -- possibly 10 percent or higher -- where the company does not have a history of dividend growth and may even have cut the dividend rate when profits failed to meet expectations. You can put together a portfolio of dividend stocks from anywhere along the yield vs. dividend growth spectrum and your choices will determine the current yield of your portfolio and how much it will pay in future years. To determine the required size of a dividend-paying stock portfolio, you also must estimate the amount of income you want to get from the stocks. Your current level of expenses or monthly take-home salary is a good starting point. Remember that your take-home pay is after tax, so you need to increase that dollar number by at about 25 percent to include income that will go toward paying the taxes you owe on those dividends. 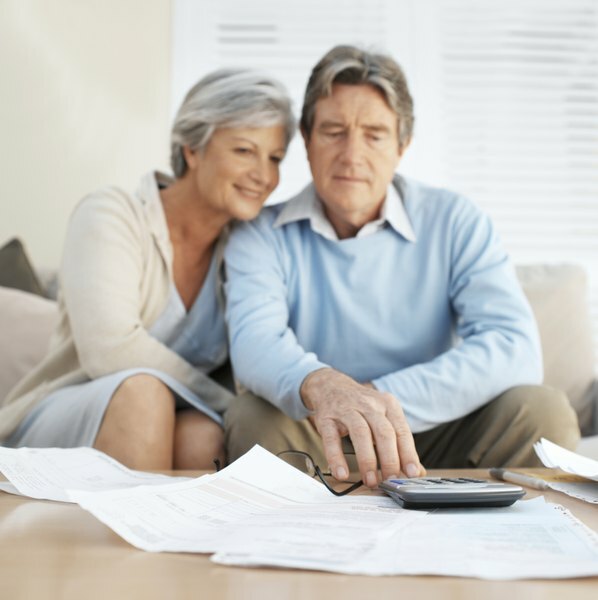 As you get closer to retirement your estimate of needed income will firm up and you can also factor in other income sources such as Social Security. After you have calculated how much income you want from dividends and have researched the stock market and put together a target portfolio, you can estimate how much of those stocks you need. For example, let's say your goal is $40,000 per year of after-tax income, and you are comfortable with a selection of stocks that will produce a 5 percent dividend yield. First, multiply the income by 1.25 to cover the taxes, moving the income goal up to $50,000. Then divide the income total by the target yield using the decimal rate instead of the percentage. For this example, $50,000 divided by 0.05 produces a portfolio size target of $1 million.